The Baroque church of St. Valentine with the Renaissance tower stands on the site of the original wooden church from 1596, its construction was ordered by Dorota Bremlová and her son Valentine. On the main altar you can see a silver-plated relief with scenes from the life of Saint Valentine, it dates back to 1596, the time of the original existence of the church. 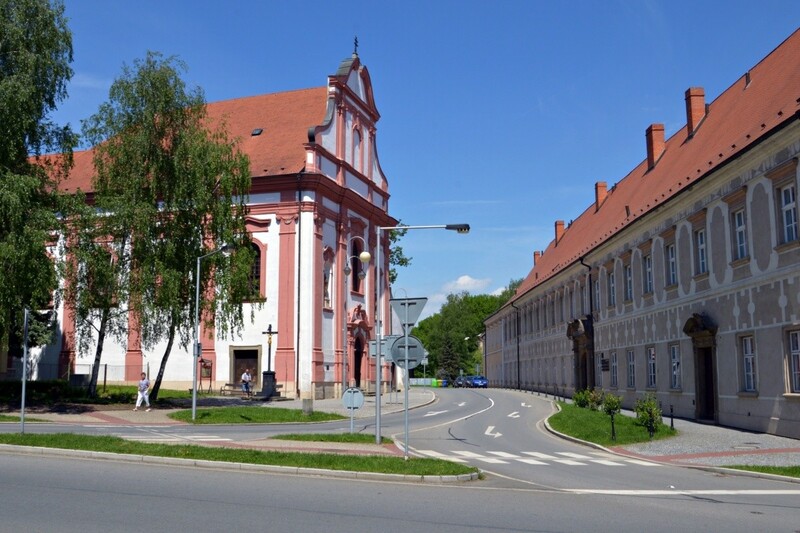 After the arrival of the Piarists to Příbor, the town dedicated the church to them. In the years 1760-1766, it was rebuilt in its present form based on the plans of the rector of Piaristic College, the native Heliodor Knauer. In the years 1768-1875, the church was connected to the opposite college by a wooden corridor in the height of the first floor. The piaristic cemetery used to be around the church. In 1995-1996, a total reconstruction of this remarkable building took place. The grand re-opening of the temple, which was also the 400th anniversary of the church building, was held October 20, 1996.